Begin Again is a typical Sundayish movie: a nice, positive, easygoing movie that is perfect for watching it on a lazy Sunday. Gretta (Keira Knightley) and her long-time boyfriend Dave (Adam Levine) are college sweethearts and songwriting partners who leave for New York when Dave lands a deal with a major label. When Gretta finds out that Dave cheated on her, decides to leave New York, but before that she performs one of her songs at an East Village bar. Dan (Mark Ruffalo), a disgraced record-label exec, sees her and decides she might be the right girl to record an album. 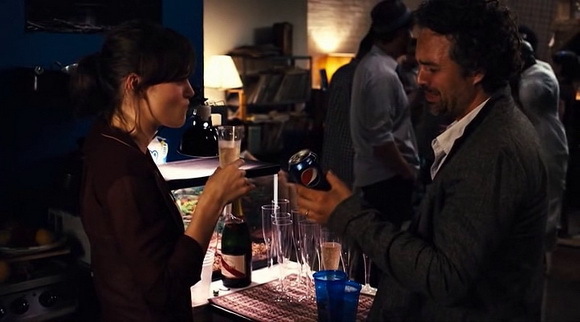 Product placement in the Begin Again doesn’t contain any particularly memorable moments. 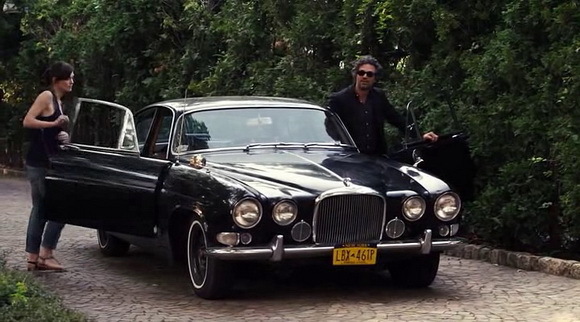 It includes a lot of iPhones and MacBooks, Harman Kardon speakers, a vintage Jaguar and one amusing Pepsi placement. Dave apartment had everything the couple wished for, including Harman Kardon SoundSticks sound system. Trivia: The original Harman Kardon SoundSticks system is now in the permanent collection of New York City’s Museum of Modern Art. Dan was driving a vintage Jaguar Mark X (pronounced Mark ten) model, produced in the sixties as the top-of-the-range saloon car built by the British manufacturer Jaguar, primarily aimed at the United States market. If you have a chance, watch Begin Again. On Sunday, of course.